I may not be the sharpest knife in the block but at least I’m smart enough to know when my friend Bill Shepard says “Road Trip” I pack my bags. 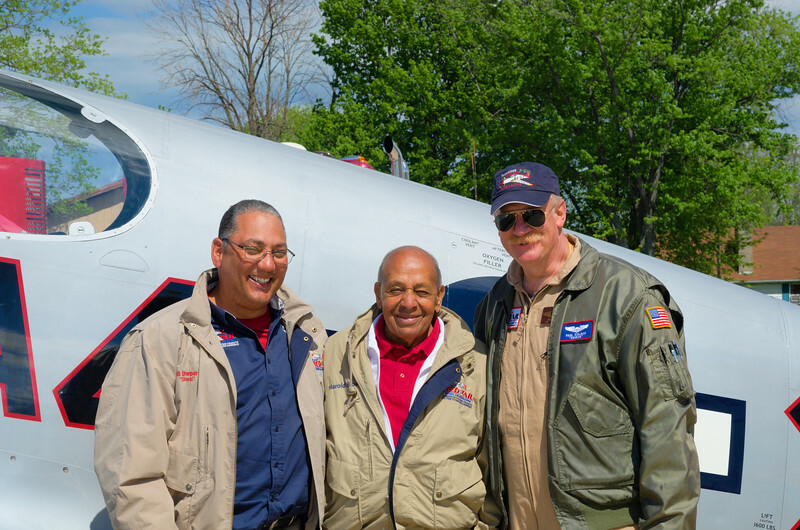 This time we were off to Port Clinton Ohio with the CAF Red Tail Squadron and their Rise Above exhibit. 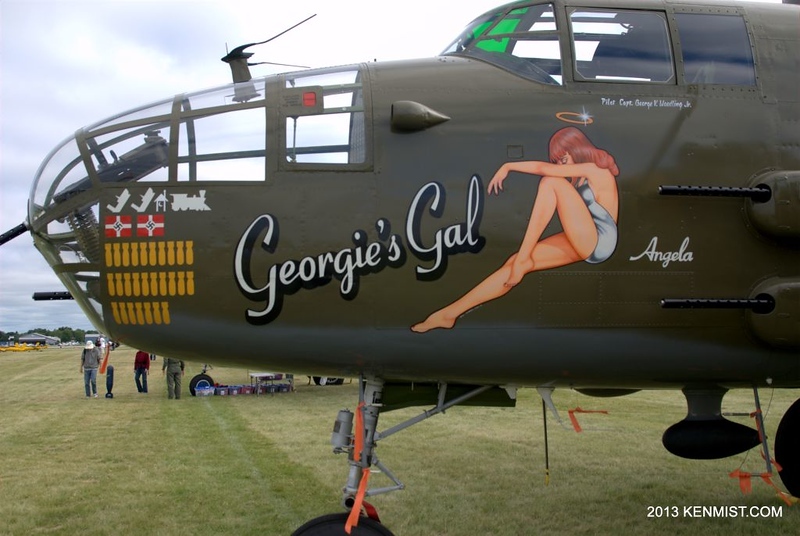 Our destination was the Liberty Aviation Museum, home of the B-25 “Georgie’s Gal” and the Ford Tri-Motor restoration project celebrating the local use of a Tin Goose as an island hopper commuter airplane servicing the area around Put-In-Bay. I drove down with good friends Melanie and Tracy and we met up with the rest of the team on Friday evening for dinner and some laughs. 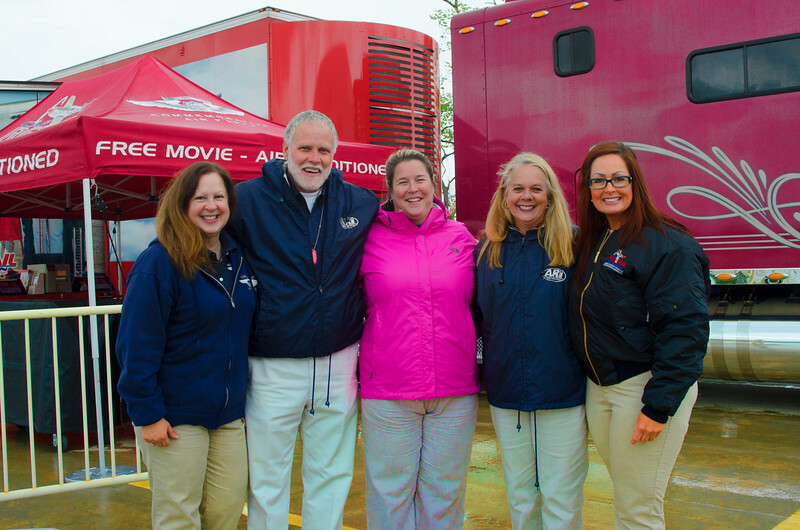 The weather was less than perfect but it didn’t dampen the team’s enthusiasm. 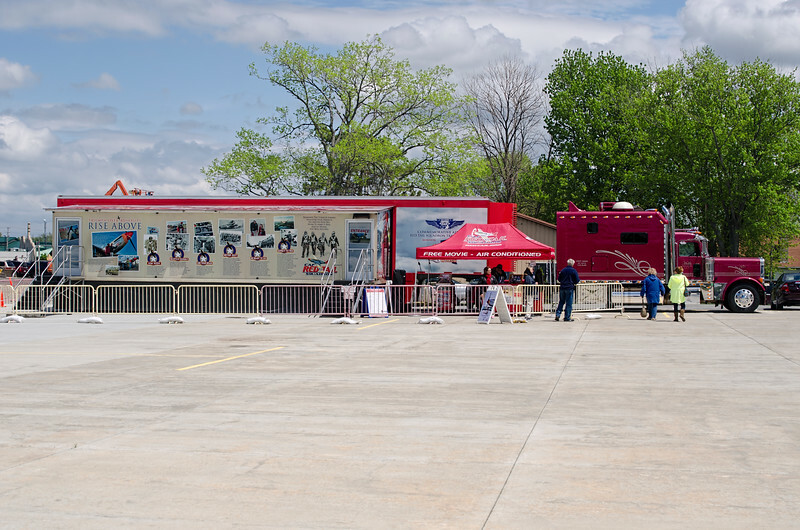 The Red Tail Squadron travels an incredible display around the US in the capable hands of Terry and Jeanette who live in this custom truck and do the majority of the setup and teardown of this theater on wheels. 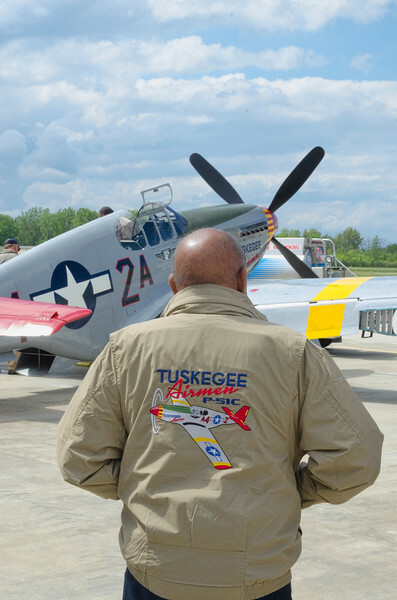 Hundreds of thousands have passed through to watch an informative movie telling the story of the famous Tuskegee Airmen who fought tremendous battles both at home and in the air over Europe. 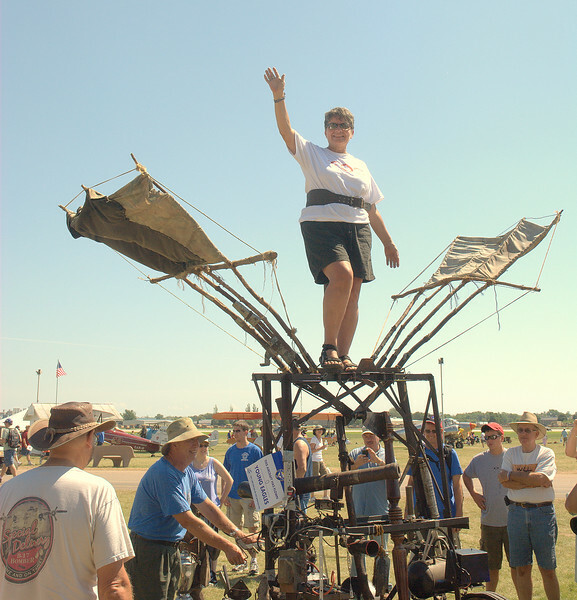 Their story inspires the youth of today to “Rise Above” and reach for the sky. 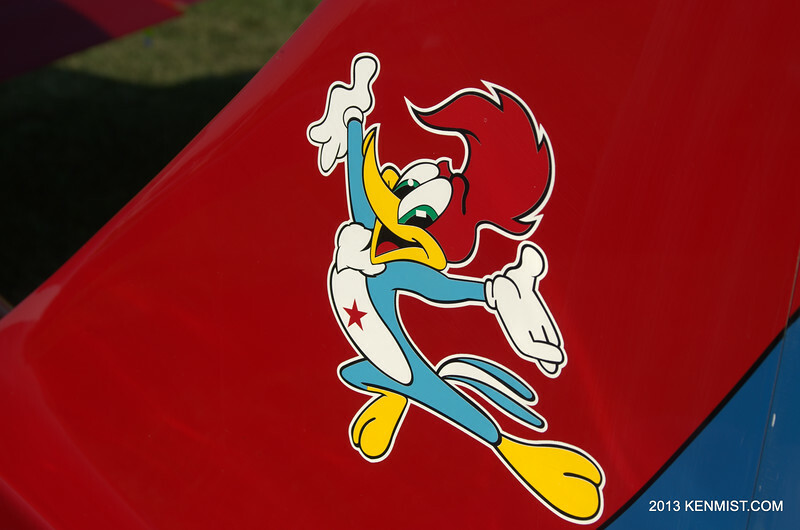 The main sponsor of the weekend at the museum was one of those brave airmen. Dr. Harold Brown is a resident of the Port Clinton area where he is much loved by the whole community. 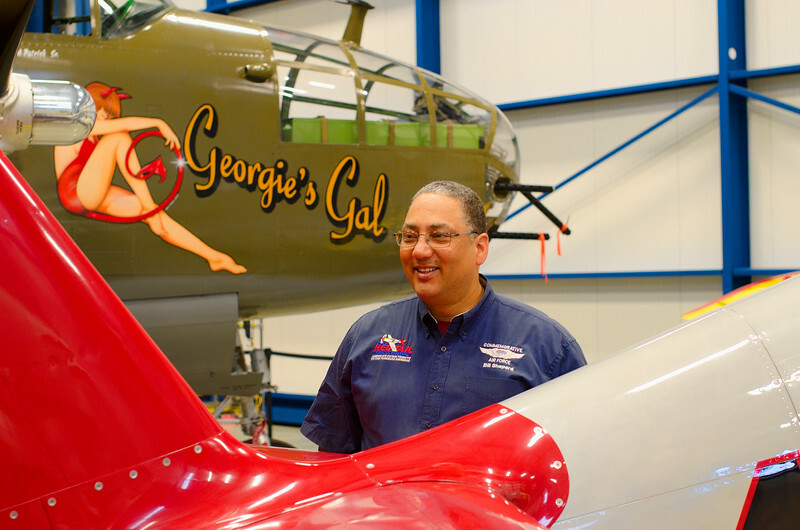 Dr. Brown started working at the age of 11 and went on to become one of those famous black aviators who played such a pivotal role as escorts for the waves of bombers flying to Germany. Shot down near the end of the war, Dr. Brown spent some time as a POW before being liberated and returning to the US where he remained in service for a total of 23 years, retiring as a Lt. Colonel having spent a number of years with the Strategic Air Command flying B-47 Stratojets. After leaving the military, Dr. Brown went on to play a pivotal role in the growth of Columbus State College. He “retired” but went on to run a consulting business and become a much sought after public speaker. I was privileged to be able to spend most of Saturday listening to Dr. Brown as he talked to children and met fellow veterans including one who flew a B-24 bomber that was escorted by the Tuskegee Airmen so many years ago. In this day of packaged celebrity it is truly rare to meet people for whom the term “hero” is somehow less than adequate. I was in the presence of greatness and I will always hold that day close to my heart. 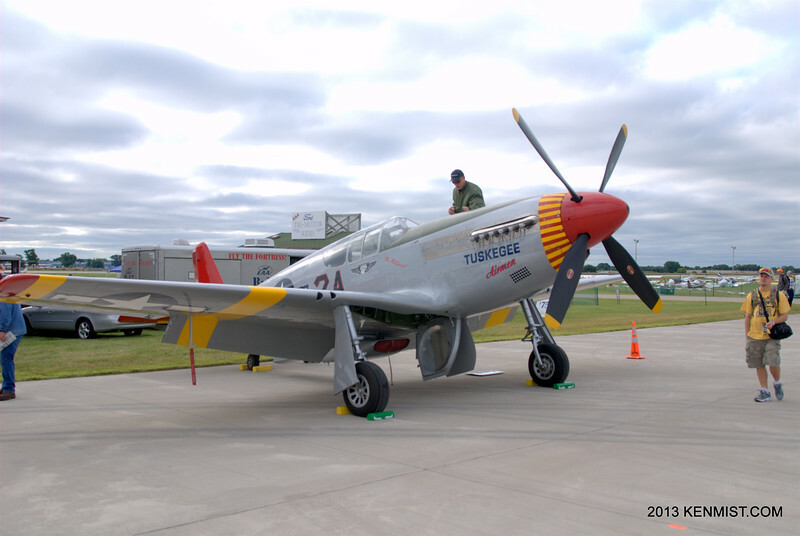 Sunday morning, I again got to accompany Bill as he flew the P-51C Mustang back to Tillsonburg Ontario. 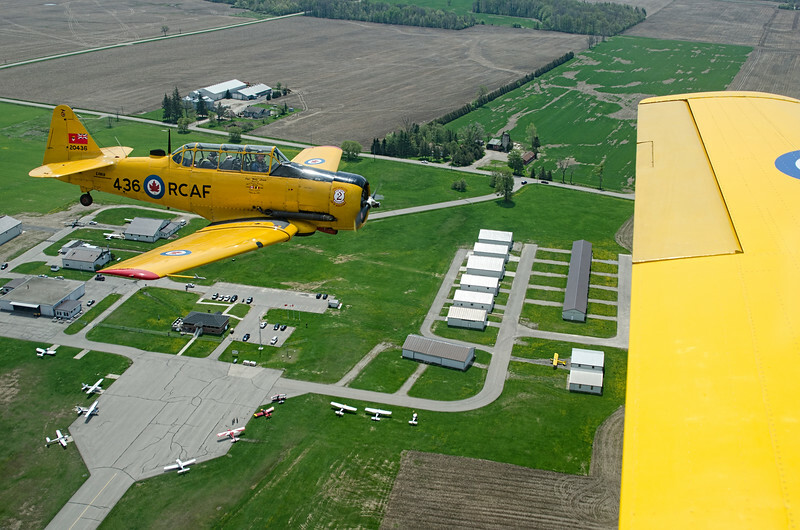 An all too short flight in perfect conditions got us back to Canada and Tillsonburg, the home of the Canadian Harvard Aircraft Association. I thought our adventure was over but no so! 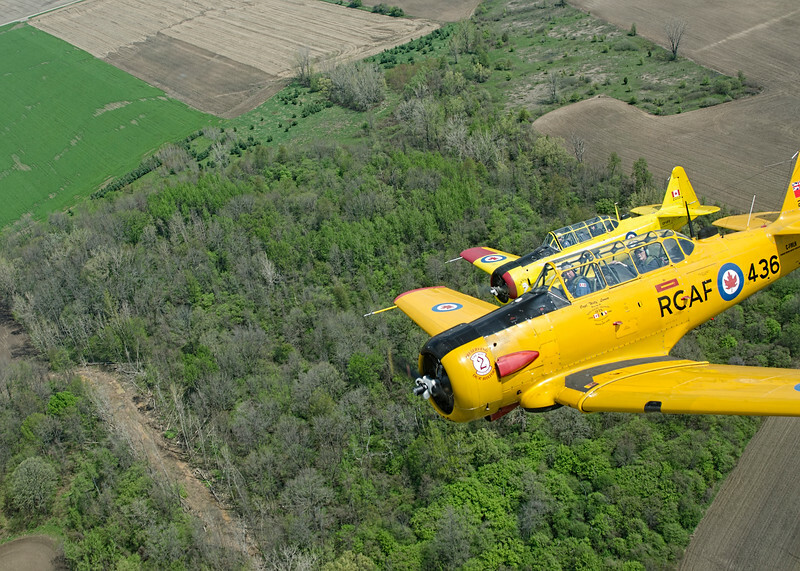 Three of the CHAA Harvards were going to get some formation practice time in and I was invited to come along. 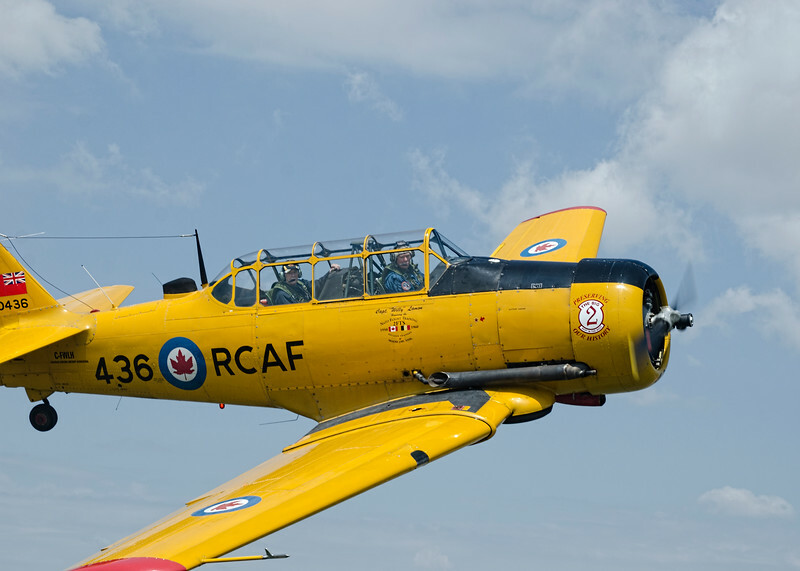 It is pretty amazing when you’re flying in 60 year old aircraft in close formation and the airplane on your left is being piloted by former Canadian Astronaut Bjarni Tryggvason. Pure magic. My thanks to everyone who gave this old AvGeek a special treat. I love my aviation family. A riot of colour. 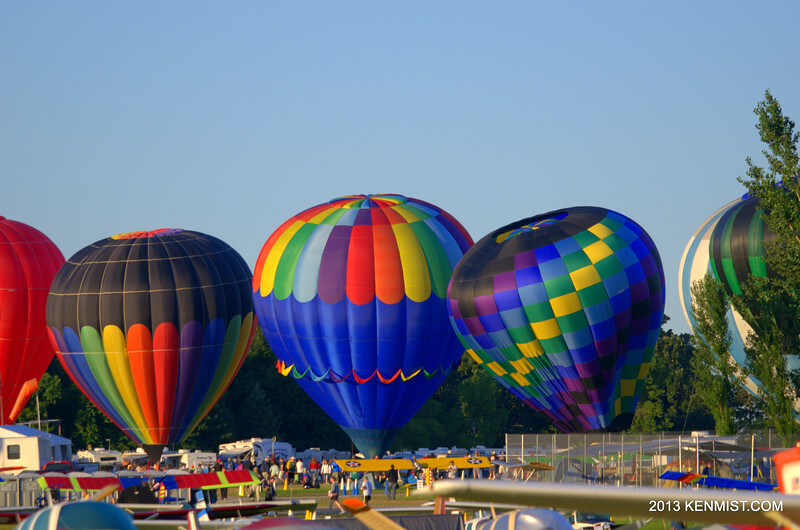 The Saturday morning balloon launch. 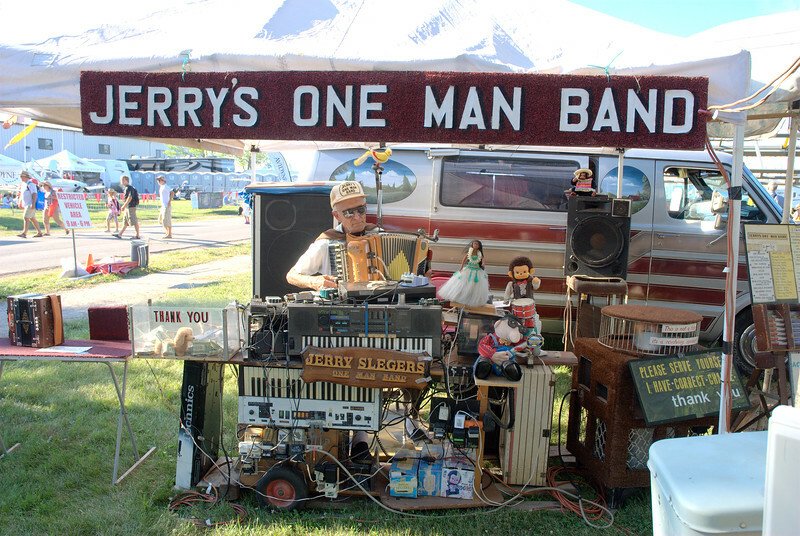 A fixture at Oshkosh for over 2 decades, Jerry Sleger and his one man band set up at the corner of Knapp and Vern and produce a magnificent cacophony of sound accompanied by cymbal playing chimps and hula girls. Every year seems to be Jerry’s last and I’ll truly miss him if he’s not there this year. 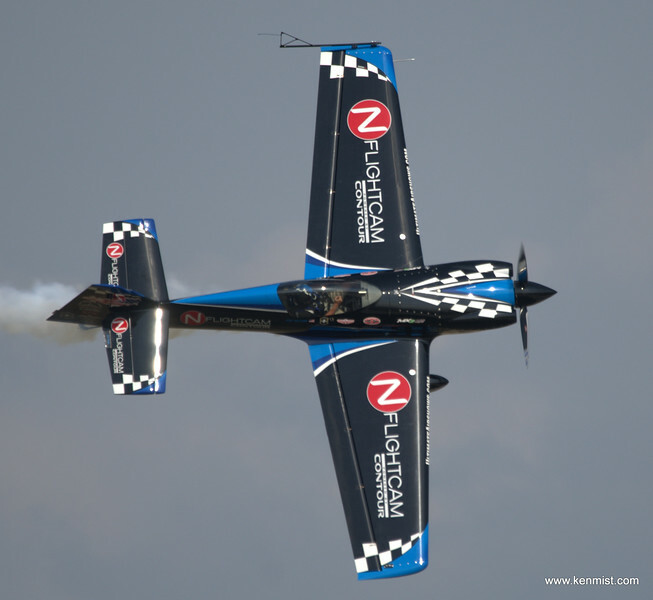 Rob Holland on the photo pass. 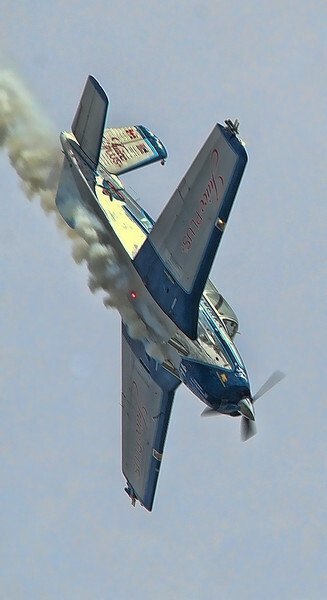 Julie Clark headed downhill at Oshkosh 2013. 2011. 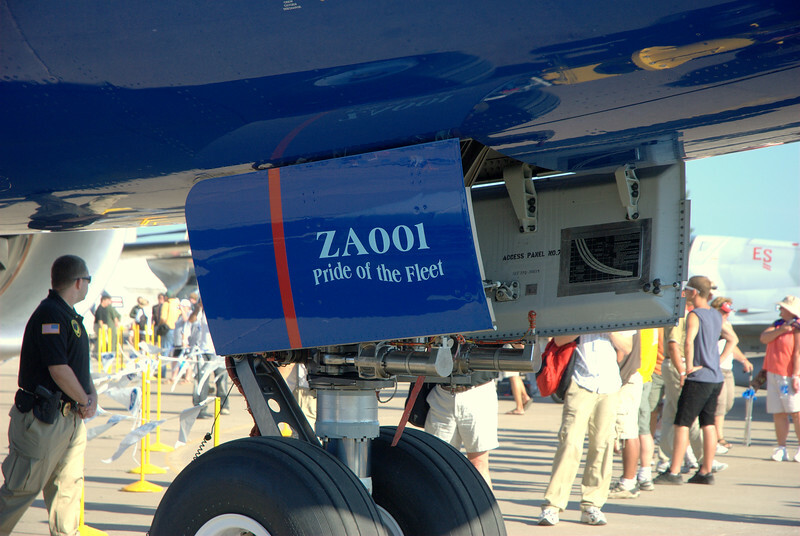 Boeing brings aircraft ZA001 – the first 787 to Oshkosh. 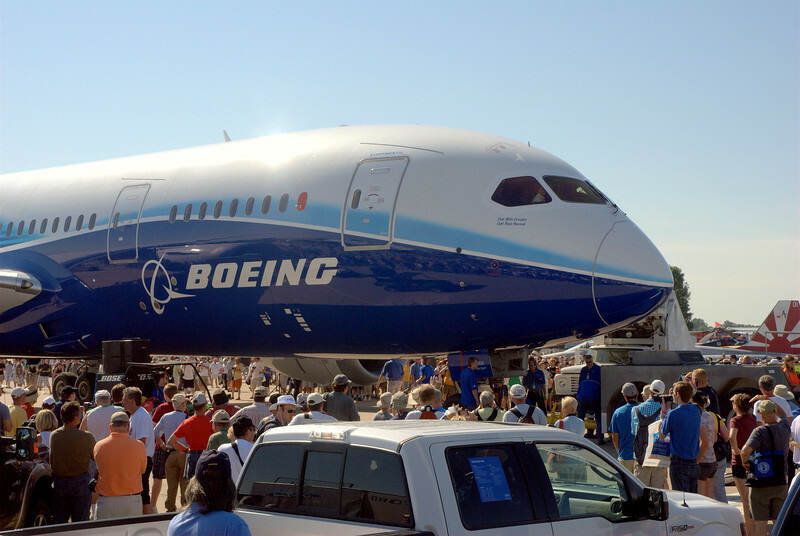 At this point, the future for the Dreamliner looked very bright. This was, of course, before the battery issues arose. The “Pride of the Fleet” now sits in the Mojave desert and will probably end up at the Museum of Flight near its birthplace in Washington State. Click on any picture to enlarge in new window.